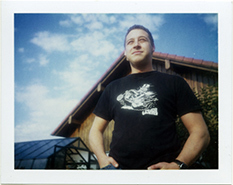 Jürgen Kreileder is a software engineer and consultant living in Bielefeld, Germany. He’s probably best known for leading the Blackdown Java-Linux project for many years and writing the original port of the HotSpot JVM for x86-64 (AMD64/EM64T) for Sun Microsystems. He also served on the JCP Expert Group that defined the feature and API set of J2SE 5.0. Jürgen Kreileder is available for contract work involving Linux, OS-X, Java, C, C++, Objective-C, Assembler (x86, x86-64, ppc), TCP/IP programming and/or troubleshooting. Just send an email to jk@blackdown.de. (See the Contact page for phone numbers and PGP/GnuPG keys).